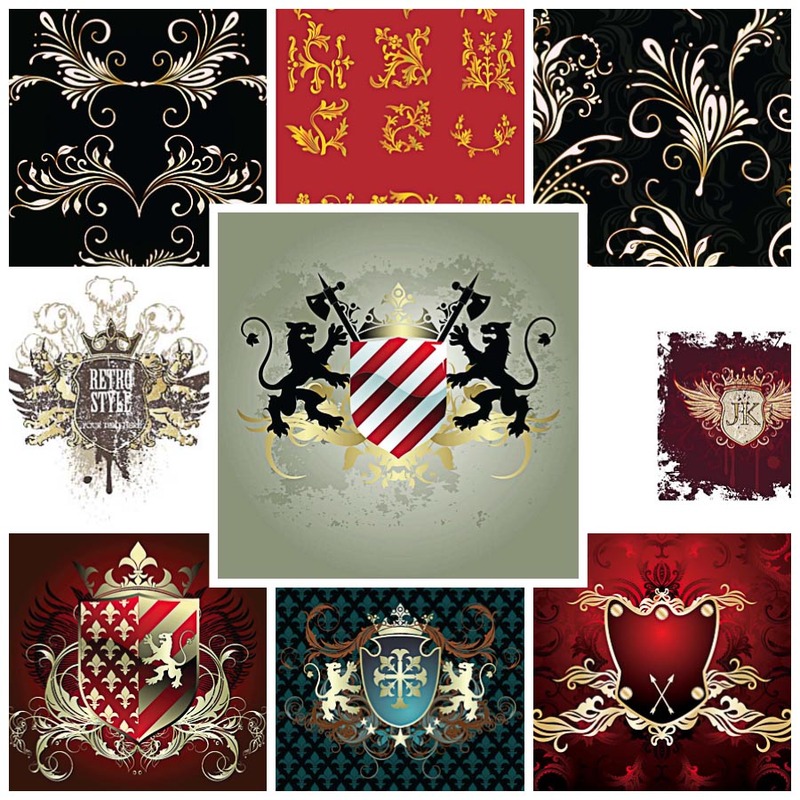 Ornate heraldic symbols in vector for your vintage designs. Free for download. File format: .Eps for Adobe Illustrator, Corel Draw, Photoshop etc. 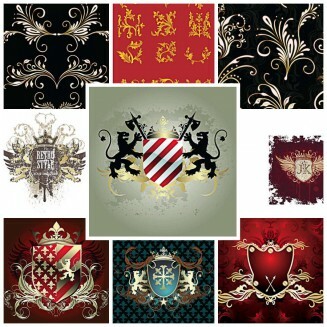 Tags: heraldic, lion, ornate, shield, vector.